7 November 2011 – “Mania – The history of a cigarette factory worker” (1918) starring legendary Polish actress Pola Negri will be screened at Volksbühne Berlin on 8 November. In 2006, a copy was found in a Czech film collection and acquired by Filmoteca Narodowa (National Polish Archive). The heavily damaged film was fully reconstructed, digitally restored and sent on a world tour through the European capitals Warzaw, Paris, Madrid, London and Berlin. The music, composed just for this occasion, will be performed live by the Wrocław Chamber Orchestra Leopoldinum, conducted by Jerzy Maksymiuk. “MANIA – World Tour of a Silent Film with Live Music” is a project of Filmoteka Narodowa as part of the Polish EU Council Presidency. 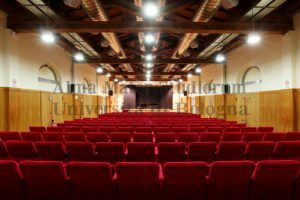 Although many film archives are in possession of these types of collections, it is the first time that one of them receives such detailed attention from researchers. 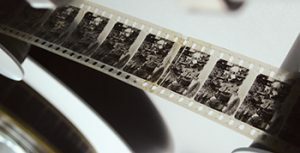 The aim of the Austrian Film Museum is to make these images accessible to the larger public, to enable everyone to enjoy the colors and photography of early cinema, to constitute a historical resource for archivists and researchers, and to enlarge the debate about open archives and “orphan” collections held in those archives.